With respect to direct claims of bad faith liability, Cooper & Scully understands what it takes to successfully litigate these claims, including the applicable standards, necessary discovery, and appropriate experts. 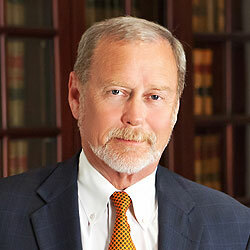 Our attorneys have tried numerous cases to successful conclusion. General Liability/Third Party Defense We have a keen appreciation for the unique goals and objectives of the insurance industry in handling claims and litigation in a cost-efficient and effective manner. We understand the need of the claims professional to maintain a close working relationship with defense counsel so that claims and litigation can be managed with case-specific goals clearly in mind. We are experienced in providing budgets and timely, substantive reports so that costs and benefits of claims and litigation can be continually assessed. St. Paul Mercury Ins. Co. v. Recognition International, Inc., No. 3-97-CV0590-L (N.D. Tex., Feb. 2, 2001). No duty to defend or duty to indemnify for libel, slander, or belittlement claims under coverage B of CGL policy or excess policy.